Not being able to consult a doctor apart from the standard consultation hours can get quite frustrating. This especially holds true if there is a medical emergency involving your loved ones. We have made so much progress in terms of technology yet we still follow the traditional way of consulting a doctor. It is long, time-consuming, cumbersome and at times lets your patience wear thin. Well we have some good news! To help patients consult doctors at any time during the day, there is a new start-up in town called HealthQuickly, Inc. You can now download their app from your app store to enjoy superior and quick healthcare services. Meet The Mastermind Behind it All! The man behind HealthQuickly, Inc is Hrishikesh Amravatkar. He is the CEO and Founder of the start-up and a serial entrepreneur. Hrishi has a decade of experience in tech and has a Masters in CS from University of Southern California. He along with Kyle McGourty, who is the Head of Marketing at HealthQuickly, Inc and co-founder of Btunk, possess the required skill sets to catapult the success of this app to new heights. Know a Little More About HealthQuickly, Inc! This is a Mobile Tele-medicine startup based out of San Jose, CA. Presently, they have 2 products namely DoctorQuickly and HealthQuickly. DoctorQuickly is an open marketplace for individual doctors to join the platform to provide direct primary care for patients remotely via Video, Audio or Toll-free calling. Through this product patients with or without insurance can get answers to their healthcare questions instantly especially during off-hours. DoctorQuickly does not require a flat-fee or monthly subscription. It has a unique “per-minute” billing model and the doctors set their own per-minute pricing based on day or night. HealthQuickly, on the other hand, is the business to business subscription based model. 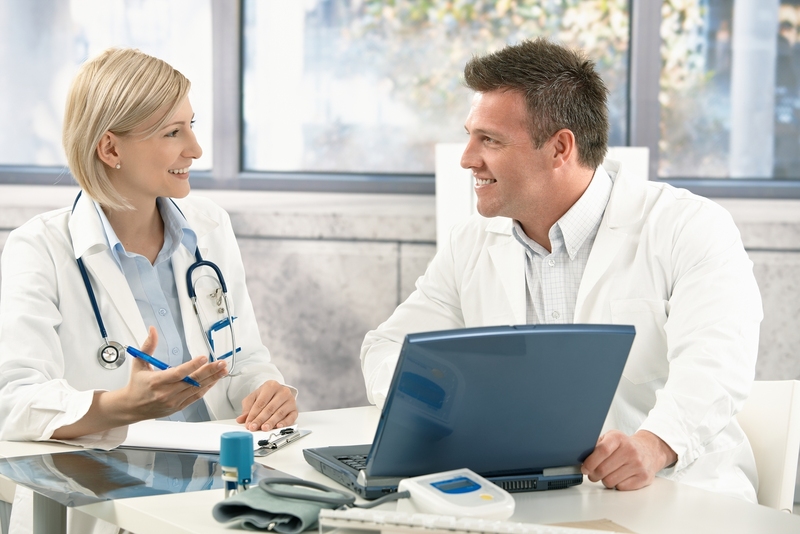 Through this product white label services similar to DoctorQuickly are provided for hospitals, care services, etc to help them deploy a mobile-telemedicine solution for their existing patients and doctors. It is a known fact that our health care system is broken. It is complex, cumbersome, expense and inaccessible. Not just that, over 70% of in-person appointments with a doctor are for informational purposes only. This not only burdens the health care provider by providing services to patients with trivial cases, but also increases the cost of health care for everyone. Unfortunately, there is no easy way to get instant and direct consultations with a healthcare facility or a doctor. Many healthcare providers have an audio on-call service, but wait times can take hours, and the experience is not satisfying for the patients. In today’s world, when an appointment is made it usually requires the person to take time off of work, be physically present at the physician’s office, and make payments for each visit. HealthQuickly Inc, is here to bridge this very gap and make doctors remotely accessible to patients at all times. “My wife and I were in process of having a baby. And as first time parents, we were scared about everything. During my wife’s first trimester, one night my wife started having stomach cramps and we panicked. I went on Google, WebMD etc trying to find an answer, but ended up with worst case scenario. I decided to call the nurse hot line. After 2 long hours, the nurse finally called back, with a vague answer because she has less OB/GYN experience. So, we ended up driving to the ER. Inside the ER, we were considered a low priority patient and it took the doctor 4 long hours to see my wife. When the doctor saw my wife, he asked her a few questions and said that this is a normal side effect of a procedure done a day ago and that my wife just needs to take some painkillers and rest. Just to get that simple answer from a professional doctor, we had to go through the long, excruciating and expensive wait with our current system. This is when I realized that our healthcare is broken. There needs to be a better way for patients to reach a doctor even for small problems without having to go through this nightmare. That’s when the product idea of DoctorQuickly was born”, says Hrishi. As per the team, their biggest hurdle for starting a Mobile Health startup is the barrier to entry due to regulatory restrictions on Tele-medicine, HIPAA compliancy and FDA regulations. Also, understanding the approach for health care customer acquisition was another major hurdle. In terms of competitions, Teledoc, Vidyo and Cisco Telepresence pose as potential competitors for HealthQuickly whereas DoctorOnDemand and HealthTap are potential competitors for DoctorQuickly. “The telemedicine market is expected to grow from $14.2 billion in 2012 to $27.3 billion in 2016 with 18.7% Y-o-Y growth. With players like Apple and Google entering the Mobile Health Space, we see a definitive disruption in the Healthcare space. HealthQuickly, Inc. plans to expand its B2B business model , which would be deploying branded solutions for the existing Health Care service providers and facilities. We see growing interest from Hospitals to embrace newer technologies which may help in higher patient satisfaction ratings”, says Hrishi. For DoctorQuickly which is their B2C business, the target audiences are moms, children elderly and doctors who would like to provide direct primary care specialized for the above category of patients. On the other hand, for HealthQuickly which is their B2B business, the target audiences are the health care facilities, children’s hospitals and mental care services in the US that would love to upgrade their existing infrastructure to support Mobile Tele-medicine services. HealthQuickly which is a mobile tele-medicine service product, would be monetized through monthly subscription fee per health care facility whereas DoctorQuickly, which is for independent doctors and patients to join, would be monetized by taking 30% fee on the final patient bill. Curating A Newsletter Is Just Few Minutes Away With Goodbits!